The Gertrude Vanderbilt Whitney art studio designed by Delano & Aldrich c. 1913 in Old Westbury. 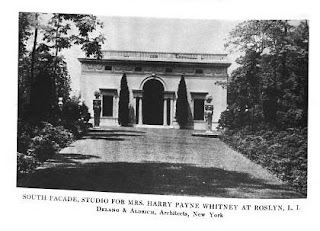 Click HERE and HERE for more on the Whitney art studio. Click HERE to see the studio on bing. Photo from the Annual Exhibition of the Architectural League of New York, 1915. 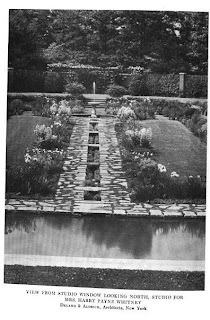 Got to tour this when Mrs. Leboutllier was living there -- interior & grounds were fabulous. lil' gay boy ~ If you took any photos would you share them through Old Long Island ? lil' gay boy ~ Awwww !!! I had similar trouble once when I didn't make the film roll taut on the spool. The sprockets didn't engage the film, and the film was never exposed. 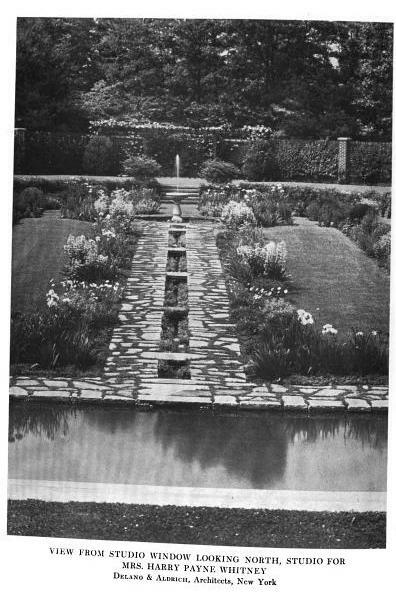 Ironically it happened on a visit to Old Westbury Gardens and Eagle's Nest in 1968 !